Current Sales Tax Standard Good or Bad for Small Businesses? You Decide. A new case before the U.S. Supreme Court (South Dakota v. Wayfair Inc.) has the potential to impact small businesses across the country—but whether it will help or hurt them is still up for debate. First a little background. Currently, 45 states have a statewide sales tax—meaning that when you purchase an item at a store, you pay a little extra that ends up going to the state government. For perspective, statewide sales tax rates vary between roughly 3 and 7 percent. However, there is a caveat to this rule of thumb. Under current U.S. law and judicial precedent, a state government can only mandate the collection of a sales tax from a business that physically resides within the borders of a state. 1.) Whenever a customer walks into a brick-and-mortar store and purchases an item. 2.) Whenever someone orders a product online from a business that has a physical structure within state boundaries. This norm has become problematic with the rise of online shopping and the increasing presence of online retailers—such as Amazon or the namesake of this specific court case, Wayfair. Because if the online retailer doesn’t have a physical building in a certain state, that business can sell their products to residents of that state via delivery without applying the additional sales tax to the price of the item. The nine Justices of the Supreme Court now have an opportunity to either overturn this standard or to further entrench it in judicial precedent. 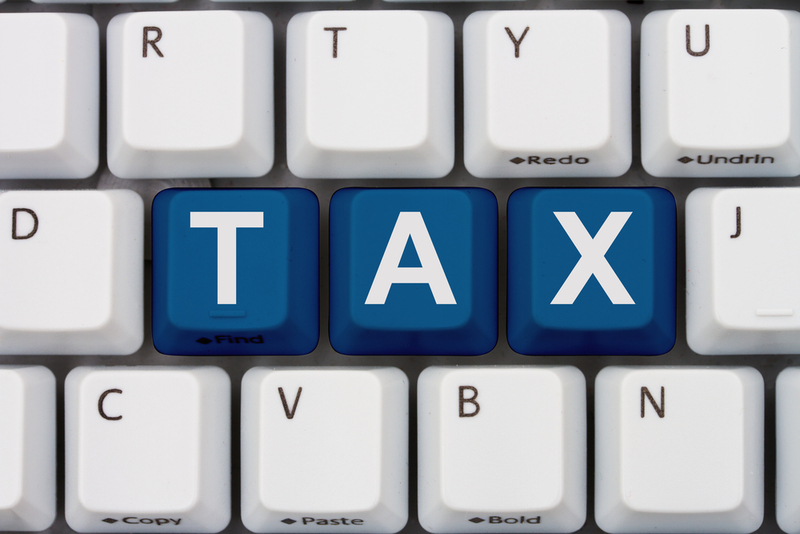 The side that opposes the current standard claims that this tax rule favors larger online retailers at the expense of local small businesses because they are competing on an uneven playing field. From the consumer’s perspective, buying an item from an online retailer would be cheaper than frequenting the local small business because they don’t have to pay sales tax. However, the other side claims that the current standard helps small businesses and that overturning it will restrict them from entering additional markets in other states. They argue that if the current precedent is overturned, small businesses—along with all other businesses—will essentially be required to comply with the respective state tax codes and other regulatory burdens in whatever state their customers reside. According to this line of reasoning, overturning the current standard could actually consolidate more economic power into the hands of giant online retailers who have the resources to comply with differing tax codes, rather than those of small businesses. There is a small business argument to be had on both sides of the coin for this case, but it may be too early to definitively know which one will further benefit small enterprise. However, one thing is for sure, whatever the Supreme Court eventually decides, millions of U.S. businesses—big and small—will be impacted. 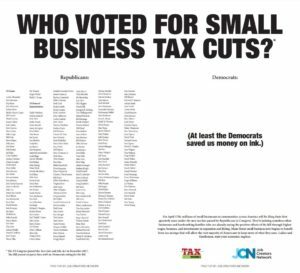 Who Voted for Small Business Tax Cuts?